The holidays are almost here, and it’s a busy time for most Alpha Dog clients. And we get TONS of pictures from our clients to put in their newsletters and e-blasts. I’ll admit, whenever I can get my paws on a camera, I LOVE to take photos and send them to friends and family. But one thing I learned recently is that photo resolution makes a big difference when our graphic designers are trying to put something in a newsletter, versus something that goes online. In very basic terms, photo resolution tells us how close lines or dots can be together for the image to be properly resolved or viewed. There are different ways to measure this, but to keep things simple, we measure photo resolution in PPI (pixels per inch). The higher a photo’s PPI, the closer those lines can be to each other, and the higher the image quality. But keep in mind, the higher the PPI of an image, the more file space it’ll take up in your computer or on your camera. Most of our computer screens are at a resolution of 72 to 100 PPI, so when you send Alpha Dog images that should go on your website or in an e-blast, we can use something with a resolution of 72. Also, if you pull something off a website or from somewhere on the internet, chances are, it has a resolution close to 72. However, when we print something (from a newsletter…to a poster…to a billboard), we need something that’s a much higher resolution. For print media, we need images that are at least 300 to 600 PPI. This will let our graphic designers create something that looks crisp and clean, rather than blurry and pixilated. 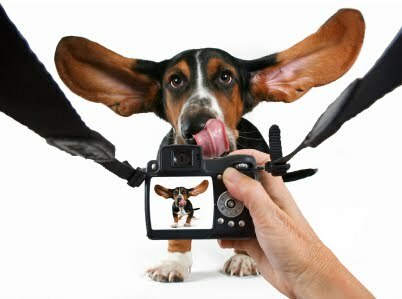 We can’t wait to see you paws-i-tively fantastic pictures!